The UK’s decision to leave the EU sent shock waves through an EU that had gone through an unprecedented process of integration extending for seven decades. Brexit came at a propitious moment for a Union that was still reeling from the effects of the Euro-crisis, the refugee crisis and other challenges, which had exposed the EU’s vulnerabilities, and served as a reminder that member states may not continue on the same integrationist track. It is widely recognised that the EU that emerged from the crises is more differentiated, but it is not clear if differentiation is part of the problem or part of the solution. All political systems are differentiated, but the EU is distinct in the way it is structured, and in the way in which the process of integration is structured and conducted. The EU’s White Paper contains proposals that variously recommend more and less differentiation. 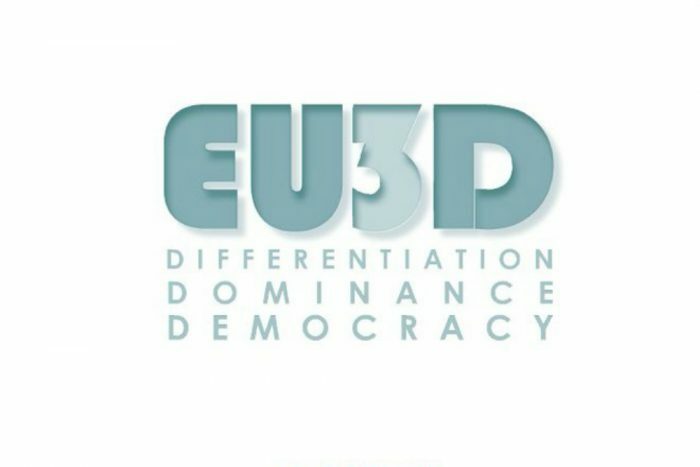 EU3D’s main objective is to develop and apply to the EU and beyond a theory of differentiation that specifies the conditions under which differentiation is politically acceptable, institutionally sustainable and democratically legitimate, and the conditions under which it is not, i.e. when conditions of dominance prevail. EU3D does that through comprehensive analyses of the multilevel EU’s institutional and constitutional make-up across a range of policy areas. ► EU3D will establish, rank-order and evaluate those forms of differentiation that are problematic, i.e. conducive to forms of dominance in contemporary Europe. The assessment includes both the EU-internal and the EU-external dimension (enlargement, affiliated non-members and Brexit). ► EU3D traces the historical roots and/or external sources of those forms that we identify as pathological differentiation in order to establish how well-entrenched they are in the EU’s structural make-up. ► EU3D compares and contrasts the EU with other forms of political entity (states and regional organisations) in order to establish whether or the extent to which the EU is unique or distinctive. ► EU3D examines popular perceptions and bases for understanding and accepting differentiation; and parliaments as sources of reforms (to overcome forms of differentiation-caused-dominance). ► EU3D develops a database of future of EU reform proposals and undertakes a comprehensive and systematic assessment of these in line with the analytical framework and in close collaboration with policy specialists and stakeholders. ► EU3D actively engages with stakeholders in the development of EU3D policy and polity recommendations so as to ensure a strong linkage of research and policy in the area of differentiation.